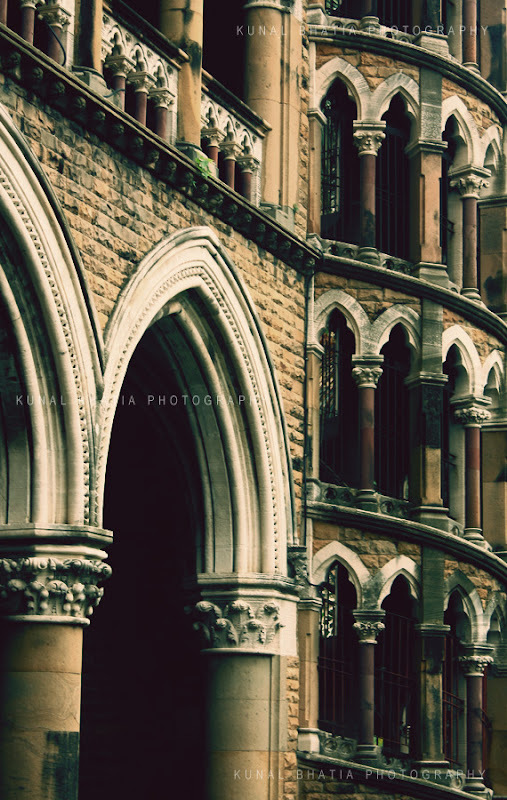 bombay gothic in the mumbai university's fort campus. see an interior shot of the library here. beautiful architecture! Wish we had that kind of history in my neck of the woods! This is fantastic! I love how it's just a close-up and doesn't show the entire building.. It really lends to the mystery and leaves me wanting more! I agree with Hillary. Well composed shot. That is so wanderful to visit the places like that. It seems to me that you will be pleased after it.